Teaching English abroad can be an alluring prospect for many people whose first language is English. Though the reasons for choosing to do so may vary among each person, here are ten of the most common. 1. Save Money: It is no secret that the cost of living in many other countries, including South Korea, is lower than that of the United States, Canada, UK and other English speaking countries. This makes it possible for teachers to enjoy a relatively high standard of living while also saving a great deal of money, especially if they are frugal when it comes to their entertainment options. 2. Give Back: On the other hand, many people want to make a difference in the lives of other people. Teaching English abroad, long or short term, allows you to experience the travel and monetary advantages while also making a difference in the lives of your students. 3. Climate Changes: Most western countries experience distinct seasonal changes, including frigid winters. There are many exotic English teaching destinations to choose from that feature warm sunny days, even during the cooler winter months of the year. 4. Travel to Exotic Locales: Many people are quoted as saying they want to travel more when they retire. Why wait until you’re older and retired to see the world? Teaching abroad in places such as South Korea, China, Thailand, South America or Africa will provide you with an opportunity to travel to several different countries in the course of a 12 month period. 5. Cultural Immersion: Experiencing different cultures is much more than simply eating at your favorite Thai or Mexican restaurant. By traveling to a different country and teaching English, you can experience that culture thoroughly using food, hobbies and friendships to do so. 6. Expand your Language Skills: Learning a foreign language is another item that often appears on people’s wish list. Living and working in another country allows you to learn the language much quicker because you are exposed to it all the time. Most people can expect to obtain at least a rudimentary grasp of the language before they leave, even if they knew nothing when they arrived. 7. 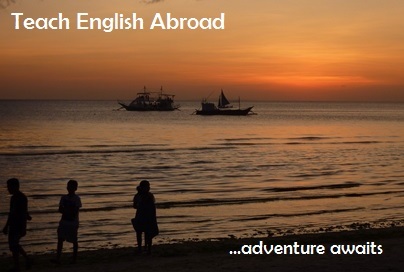 Add to your Resume: Going overseas to teach English looks great on a resume. In this tough job market, it can give you an asset that other candidates for a job might lack (international work experience), making you more attractive to potential employers. 8. Figure out the Future: If you are not sure what direction you want your future to go, teaching English abroad gives you time to explore your interests while also earning money and experience in the process. It is like taking a gap year and being productive with it. 9. Welcoming Job Market: While the global job market is not as robust as it could be, there is always a need for qualified teachers for English teaching programs overseas. Obtaining a TEFL certification shows that you are willing to put in the time and effort when it comes to teaching English as a foreign language. While some programs require such a certification before you can teach, others do not. 10. Job Stability: Other job markets often experience ebbs and flows in their hiring processes. This can lead to instability in a range of industries, such as manufacturing. Other industries, such as retail, often only offer part time hours and pay. Teaching English abroad is a field that always has a need for willing and qualified teachers. In addition, you can choose which country to teach in. If you are truly interested in traveling the world, for example, you can easily crisscross the globe while teaching English and be able to expect to find a job in many of the countries you land in. Are you ready for the adventure and experience of a lifetime? Don’t wait, start your teaching career today!